Bearwood is a substantial, six-bedroom house in warm buff brick, sitting to the right of the entrance to The Heath. Its large gardens include a private woodland area. The spacious reception rooms flow from one to the other through double doors and then out into the garden via bi-fold doors. The master suite includes a fully fitted dressing room with generous wardrobe space. 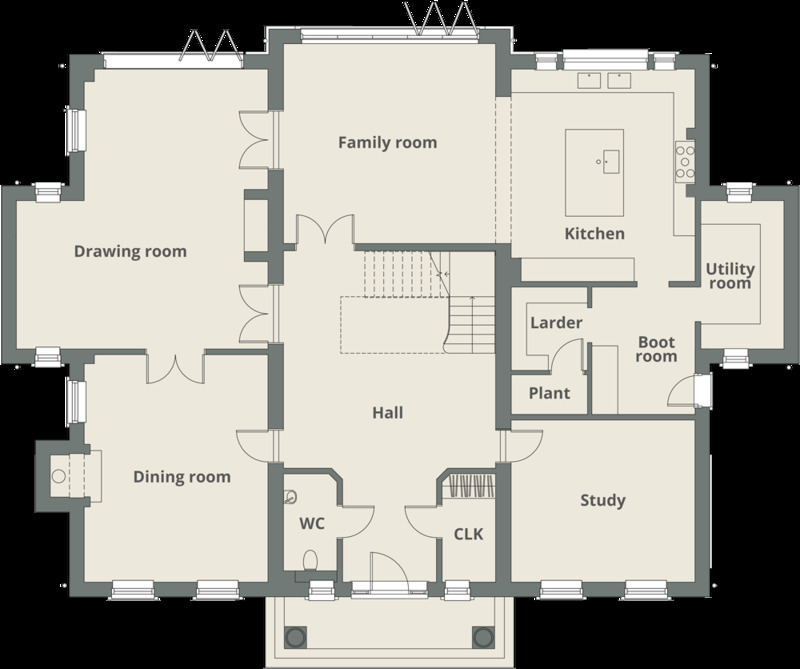 It has five further bedrooms, of which three are ensuite. Computer generated image of the hallway at Bearwood. Click to enlarge image. We are also building at these other locations in Oxfordshire. A beautiful development of two six-bedroom homes in leafy North Oxford. An exclusive new development of four and five bedroom detached, luxury properties. If you would like a printed copy of the brochure for The Heath, please contact one of our Selling Agents or click below.